Edward Parks is a baritone in high demand. 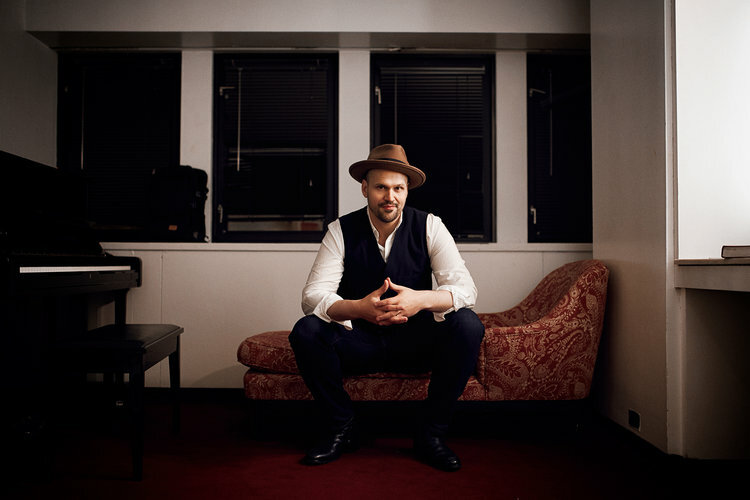 His “warm, velvety baritone” (Opera News) voice has been heard on the stages of the Metropolitan Opera, Atlanta Opera, and Lyric Opera of Chicago, and most recently, Minnesota Opera. I had the opportunity to ask him a few questions about the production and his life as an operatic baritone. You’ve sung all over the United States, in many different opera houses. How are you enjoying singing with Minnesota Opera? I am thoroughly enjoying my stay here in Minneapolis. Everyone here is so friendly, and that makes for a wonderful working environment. 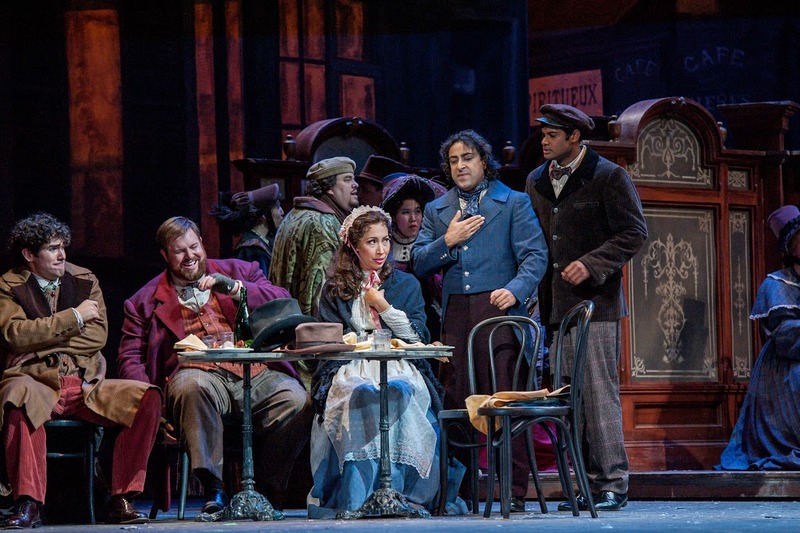 La bohème is a timeless opera, and one of the most well-known. How is Minnesota Opera breathing new life into this classic piece of art? Our director has taken the bull by the horns. We are not trying to reinvent the wheel, but we are paying very close attention to the details of the work. The life of this piece is all in the relationships. The relationships that we develop as colleagues are just as important as presenting the audience with beautiful singing. How have you specifically crafted a Marcello that’s different from Marcellos that have been performed in the past? I can’t say my Marcello is different from thousands of baritones who have sung this role. I can say I know who this man is, I understand his actions, and know his heart. Marcello is a very sensitive and passionate man. How did you construct the character with regards to his relationships with the other Bohemians? For me, this piece is all about the relationships. I tweak how I go about creating the character based on the other actors’ choices. In this way, the opera is new and alive each time I return to it. You’ve played Marcello many times on the opera stage. What do you do to prepare for this specific role? Marcello is becoming an old glove for me—a very comfortable glove that fits perfectly! My preparation time is less extensive than it would be for a new opera. I only need to spend a little time reacquainting myself with the music because the role is so solidly in my voice and mind. I think the best way to get people interested in Opera is in the story. People want to be moved. We pay for the chance to be moved. Opera is no different from any other form of entertainment. We go to concerts, sporting events, and movies because we want to forget about ourselves for a little bit. Minnesota Opera is known for its modern interpretations of older operas. The use of technology and creative staging is often seen and beloved by Twin Cities audiences. Can audiences expect the same kind of modernization with this story? This staging of La bohème is pretty traditional. However, Minnesota Opera is very well-known for its New Works Initiative and fresh productions. 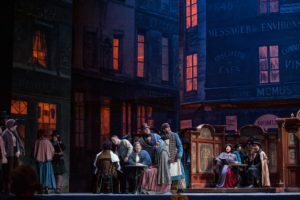 This organization brings the same energy they bring to new works to standard operas like La bohème. In this production, in particular, it’s really the unique and accomplished cast that makes the telling of the story fresh and thrilling. It’s a must see! Opera is often stereotyped as written for an elite class. In the other productions and opera houses you’ve performed in, have you seen a revitalization of opera as an art form, to appeal to more people? I hear this question a lot. I think the best way to get people interested in Opera is in the story. People want to be moved. We pay for the chance to be moved. Opera is no different from any other form of entertainment. We go to concerts, sporting events, and movies because we want to forget about ourselves for a little bit. We are here, telling an honest story about life, love, and relationships. It seems you do many operas throughout the year. How do you bring back old roles into your voice, and learn new ones to prepare for the season? You’re a very successful performer. What would you have to say to younger, struggling vocalists who would like to create a performing career? I’d tell them to not lose hope. I’d tell them to treat every audition and competition as a performance. I’d tell them to be honest and when you sing let your audience see your soul. How do you do all this traveling while maintaining your vocal health? I try not to think about it too much, and I don’t like to get inside my own head. Maintaining a healthy voice is so much a part of my everyday life that, at this stage in my career, it generally isn’t a problem. 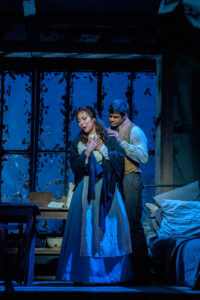 What would you say to people who are on the fence about attending La bohème at the Ordway? I’d tell them that they need to take a chance and come. If they do, they will walk away holding something beautiful. Previous Post Previous post:Meet Minnesota Opera’s New Assistant Conductor, Jonathan Brandani!